You want to learn how to say Happy New Year in Vietnamese? You will find useful instruction in this article. Normally, it great to know how to express common phrases in another language. If you want to learn some basic Vietnamese phrases, or just a greeting in Vietnamese New Year, here we go. For your practicing, watch below clip by EverydayViet.com on YouTube, you’ll see it much easier to learn and to memorize. 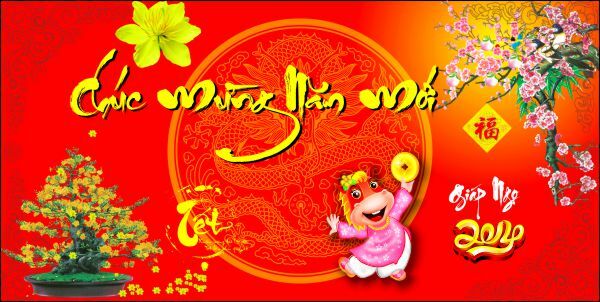 Once you know how to say "Happy New Year" in Vietnamese – I’d like to wish you: Chúc Mừng Năm Mới! Do you think it’s easy to say "Happy New Year" in Vietnamese? How about other Vietnamese phrases? You find them interesting? Please share some of your thoughts or comments here as well. Also, if you find useful information in this article, don’t forget to encourage me with a Like? I’d love your thumbs up. Thank you!